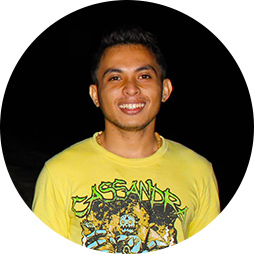 Originally from Saumlaki (Regency of South West Maluku), Luky has worked in the travel industry over three years, and most recently as Booking Officer for Wicked Diving. His biggest dream is to help develop his town of Saumlaki into the next Raja Ampat or Labuan Bajo. Just a quick 45-minute flight from Darwin, Saumlaki offers beautiful, coconut-lined sandy beaches, abundant and pristine marine life.